Live the Legend at Sofitel Legend Old Cataract Aswan, a 5-star luxury hotel in a 19th-century Victorian palace on the banks of the river Nile. Rising grandly from a pink granite shelf at the edge of the Nubian Desert with views of Elephantine Island, this stylish property blends Pharaonic treasures with French art de recevoir. 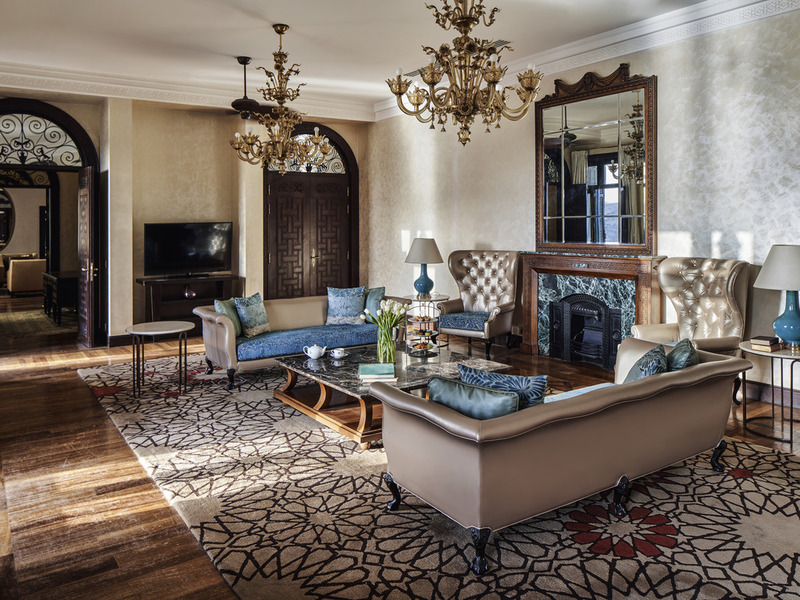 Discover sophisticated interiors by Sybille de Margerie in the historic Palace, a world of Moorish arches, ruby red chandeliers, plush Persian carpets, soft armchairs and hand-carved furnishings. Or step into the 21st-century Egypt with the Nile Wings contemporary reinterpretation of traditional codes. Spin around to captivate scenes of the Nubian Desert, Khnum Temple, Elephantine Island and Aswan Museum steps away. An infinity pool seems to cascade into the river. Luxuriate in So SPA and relish hibiscus tea on the rose granite terrace at sunset. Life is Magnifique in Aswan!.. Feast as architect H. Favarger intended, under an Arabian dome, ringed by mashrabiya windows. Indulge in a deep Nubian massage with sandal wood oil or a papyrus wrap with white clay. Stroll halls that have hosted Margaret Thatcher, U.S. President Jimmy Carter and Queen Noor. Your sojourn leads you to the gates of Egypt. The warmth of the Nubian Desert presses against your skin as you behold the majestic Nile. A 19th-century Victorian palace rises from a ledge of pink granite. Welcome to Sofitel Legend Old Cataract Aswan. Travel back in time to a more elegant era, as you enter a world of Moorish domes, Byzantine arches and exquisite Persian carpets. 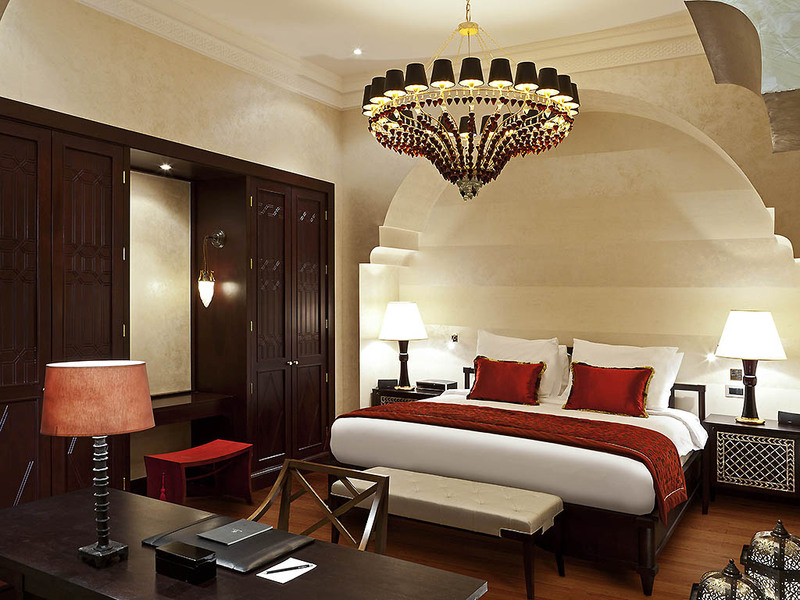 Under crimson chandeliers, you immerse yourself in an opulent mélange of French and Arabian styles. Gliding across polished marble floors under grand arcades, your gaze is drawn to photographs of former guests - Agatha Christie, Winston Churchill and Lady Diana. This legendary retreat in the heart of Aswan has hosted the haut monde for over a century. As the sun falls on an amber desert, you repose on the terrace with a cooling glass of hibiscus tea and play your part in a tale that began in 1899 of a hotel par excellence. The sight of Elephantine Island transports you to the time of pharaohs. Set on the Nile River banks in the Nubian Desert, this 5-star hotel in Aswan is near Elephantine Island and the Khnum Temple. The Aswan Museum, Tombs of Amarna, and Tombs of Nobles are close to the hotel. Aswan city center is a pleasant stroll. From Aswan airport, around 25 minutes away, follow signs for Aswan city, then head towards the hotel district. The hotel is located on the right beside the Ferial Gardens and Nile. Limo service available. 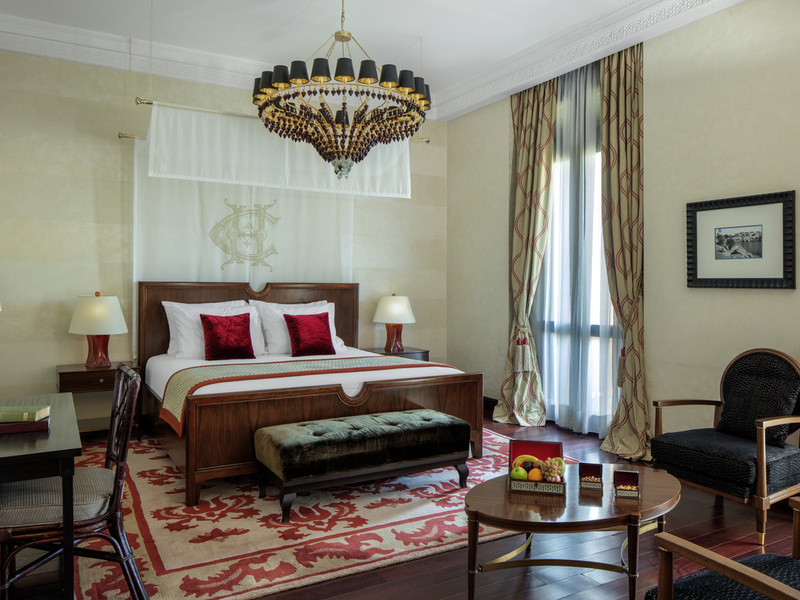 The hotel offers 2 different luxury experiences in which heritage is preserved in the Palace,76 rooms and suites while contemporary elegance is lavishly designed in the Nile, 62 rooms and suites. 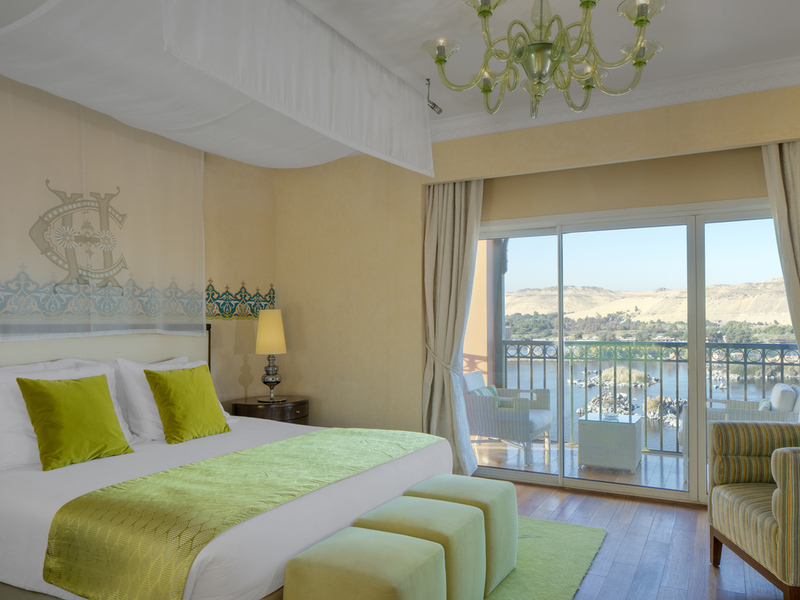 For lavish Aswan accommodation, book one of 37 Nile or 45 Palace suites. Ask the butler for champagne and unwind in exquisite lounge areas and bathrooms. Historic Churchill or Agatha Christie Suites host guests in beautiful wood floored dining rooms. 36m²; 390sqf, Intriguing blend of modernity and opulent luxury, with stunning views overlooking the charming Nile. Sofitel My Bed, LCD TV, marble bathroom, separate shower and bathtub, French amenities, complimentary low bandwidth internet. 45m²; 480sqf, stunning master piece of art elegantly decorated with warmly painted walls, high ceiling, balcony, tropical garden view. Sofitel My Bed, LCD TV, marble bathroom, shower, French amenities, complimentary low band. 62m², 667 sqf; stunning master piece of art elegantly decorated with warmly painted walls, high ceiling, balcony, tropical garden view. Sofitel My Bed, LCD TV, marble bathroom, shower & bathtub, French amenities, complimentary low band internet access. 53m², 570sqf, reflects the sense of the history with its classic furnishings, high ceiling and soothing color, Sofitel My Bed, LCD TV, marble bathroom, shower, bathtub, French luxury amenities, complimentary low band internet access. 64 sq.m. 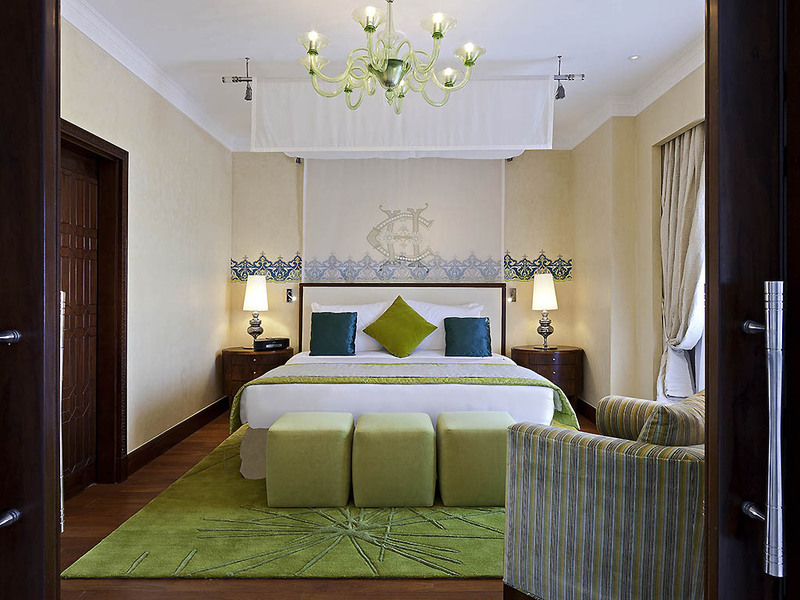 / 700 sq.ft., Enjoy the royal life offered by the hand-carved classical furnishing, spacious design, high ceiling & walls elegantly painted, Sofitel My Bed, marble bathroom, separate shower and bathtub, French bath amenities, majordome service. 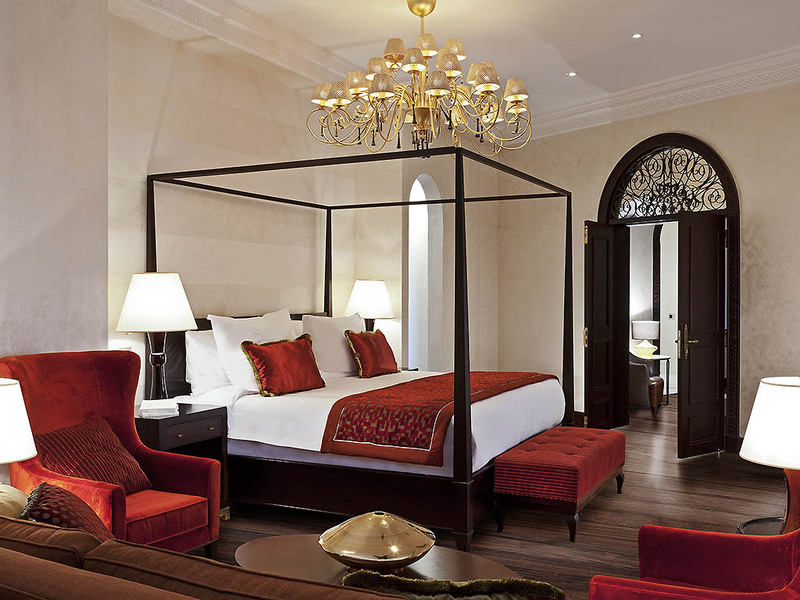 64 m² / 700 ft², Enjoy the royal life offered by the hand-carved classical furnishing, Spacious design, Elegantly painted high ceiling & Walls, Sofitel My Bed, Marble bathroom, Separate shower and bathtub, French bath amenities, Majordome service. 70 sq.m. 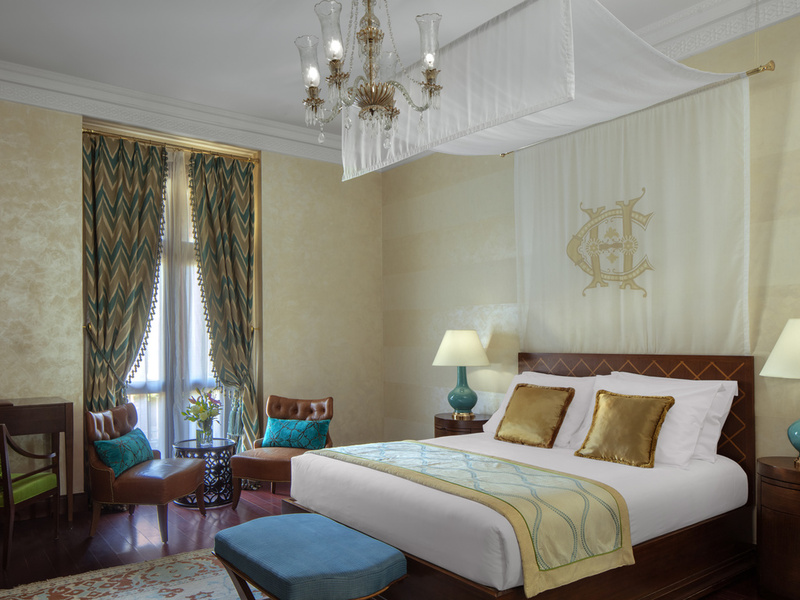 / 650 sq.ft., separate living room, terrace with Nile view, Lavish historical interiors design, walls and high ceiling paintings in warm colors, Sofitel My Bed, marble bathroom, shower & bathtub, French bath amenities, majordome Service. 70 sq.m. / 650 sq.ft. 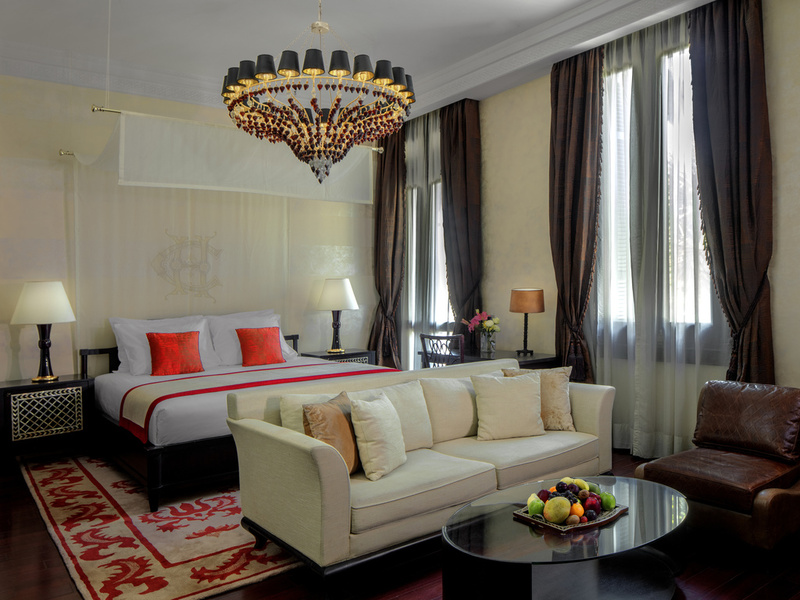 Separate living room, terrace with Nile view, Lavish historical interiors design, walls and high ceiling paintings in warm colors, Sofitel My Bed, marble bathroom, shower & bathtub, French bath amenities, majordome Service. 90 sq.m. / 970 sq.ft, Separate living room with stunning terrace, delight in the richness of history with the classy furnishing, spacious design, Sofitel My Bed, LCD TV, marble bathroom, shower & bathtub, French bath amenities, majordome Service. 90 sq.m. / 970 sq.ft. Separate living room with stunning terrace. Delight in the richness of history with the classy furnishing, spacious design, Sofitel My Bed, LCD TV, marble bathroom, shower & bathtub, French bath amenities, majordome Service. 138 m², 1500sqf; located at the first floor. A gentle blend amongst the legendary world and the contemporary comfort, 50 m² terrace overlooking the charming Nile and the pool gardens. Sofitel My Bed, marble bathroom, French amenities. 138m², 1500sqf; Step into a genuine world of legend created by the hand- carved furniture, high ceiling, and 80 m² scenic terrace overlooking the Nile, dining area. Sofitel My Bed, LCD TV, marble bathroom, French amenities & butler service. AGATHA CHRISTIE SUITE, The Palace, 1 King size bed, balcony on Nile view. 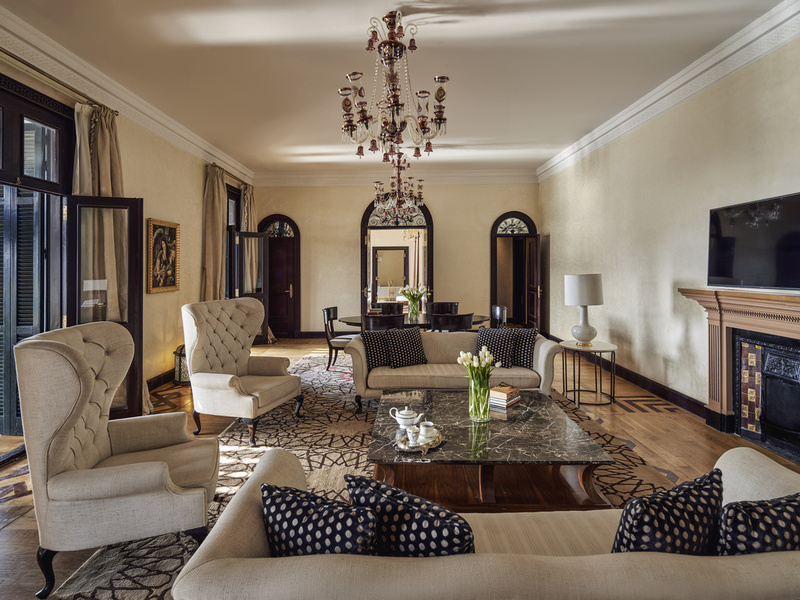 175m², 1900sqf; savor the pure historical indulgence featured by the classy décor, high ceiling, separate lounge with large balcony overlooking the Nile, separate dining room. Sofitel My Bed, LCD TV, marble bathroom, French amenities. Sofitel offers Club Millesime or Club Sofitel rooms and lounges that provide additional benefits with personalized service . Attentive services from dedicated team of staff and butlers in the comfort of the Club Lounge and rooms. In Room Dining offers our guests an exceptional dining experience in the comfort and privacy of our guest room .the In Room Dining menu blends classical and modern French cuisine with continental flair.In Room Dining is available 24 hours a day. Taste creative Oriental inspired cuisine at our Aswan restaurants, from grills at Oriental Kebabgy to Mediterranean a la carte at Saraya. The renowned 1902 restaurant, resplendent with an Arabian dome, celebrates cuisine francaise and vintage wines. At our stylish bars in Aswan, transform a tete a tete or pre dinner drink into refined refreshment. Celebrate with whisky and wine at The Bar, a Sir Winston Churchill favorite. Sip fruit cocktails on the Promenade or Yasmine, and high tea on The Terrace. Mahogany walls and rich leather seats invite you to imbibe in the style of Winston Churchill. Enjoy Mediterranean delicacies with inspiring views of Khnum Temple and Elephantine Island. Savor fine wine and silky foie gras with red pepper coulis at the legendary 1902 restaurant. Watch the sun set over Upper Egypt while sampling from a menu of beautifully presented dishes and delicacies at Aswan's "hottest table." Stunning panoramas from this terrace restaurant and bar soar over Khnum Temple and Elephantine Island. At our signature 1902 restaurant, celebrate 12 decades of gastronomy with exquisite French cuisine paired with fine wines from the sommelier. Relax beneath the grand Arabian dome by a Qualaun crypt, and savor steamed lemongrass fish or filet mignon. In this gourmet all-day dining restaurant in Aswan, feast on fresh Mediterranean cuisine with local flavors, from handmade pasta to fish. Copper lamps flicker in our Aswan dining room with Moorish arches in cream and scarlet. Outside, a terrace tempts. Oriental chefs blend local flavors with rich Levant cuisine at Oriental Kebabgy, a top Aswan restaurant. Over a feast of spicy, grilled meat and herbed rice, recline on gold banquettes or linger on the terrace with sweeping views of the Nile River. Relax and unwind with a cocktail while you gaze at incredible sunsets over the Nile. Or indulge in traditional High Tea with scones, strawberries and cream, gourmet sandwiches and savory snacks. Set on the Palace's rose granite promontory, the Promenade offers prime views of Elephantine Island and the Khnum Temple. Sip champagne cocktails or sweet hibiscus tea at our majestic Aswan bar, as the sun disappears over the flowing Nile River. Sybille de Margerie invokes the elegance of Egyptian codes in this British-style piano bar: brass lantern chandeliers, rich mahogany, crushed velvet and cool leather. Enjoy a malt whisky or dry martini, a favorite of Sir Winston Churchill. Tucked by the pool overlooking the Nile, this healthy Aswan bar displays striking décor: deep purple, rich wood, glowing crystal. Cool off from the Nubian sun with a hand-squeezed lemonade or energy-boosting smoothie. Unwind on a grand chaise longue. This Aswan business hotel with its legendary guest list of royals and dignitaries is the ideal luxury venue for small summits and corporate meetings. Lead an important lecture or host a board meeting for up to 55 persons in this central Aswan hotel. Greet colleagues beneath the golden chandeliers of Cleopatra or Nefertiti. Host a lunch meeting in Nubia Philae or Obelisk. At Fouad's Corner, enjoy an intimate dinner where King Fouad hosted royalty - on the rose granite terrace overlooking the Nile. Sofitel Legend Old Cataract is where Legend meets Luxury. With the blissful and breathtaking view of the glamorous Nile, watch the sun kiss the water as you tie the knot in a city legendary for lovers. Our wedding specialist will work with you to make your wedding picture-perfect. We know weddings can be demanding so we want to guide you to create a lifetime experience and offer you a celebration in paradise. With sophistication and warm hospitality, luxuriate in the outdoor venue by the pool between the 100 year old palm trees above the Nile or in an indoor historic venue under the original arches of the vaulted ceiling. Live a legendary experience in a romantic wedding destination where perfection will be granted to you as you passionately say your vows. It is everything you need to plan your themed wedding whether it is the elegance, the romance or the magic! Our catering team will work hand in hand with you to offer you a tailor-made wedding service. Indulge in our elegant French cuisine and wedding receptions designed to your every need! 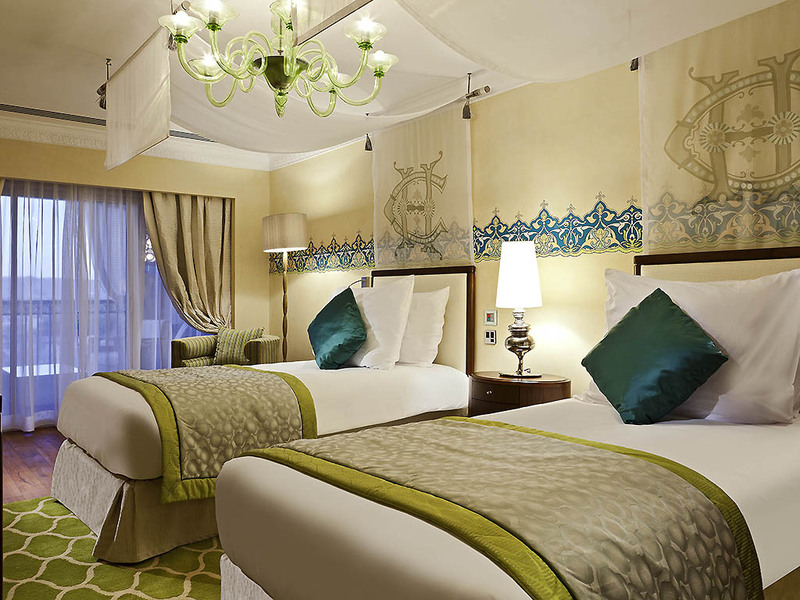 Sofitel Legend Old Cataract will accommodate you and your wedding guests in its 138 luxurious rooms and suites. 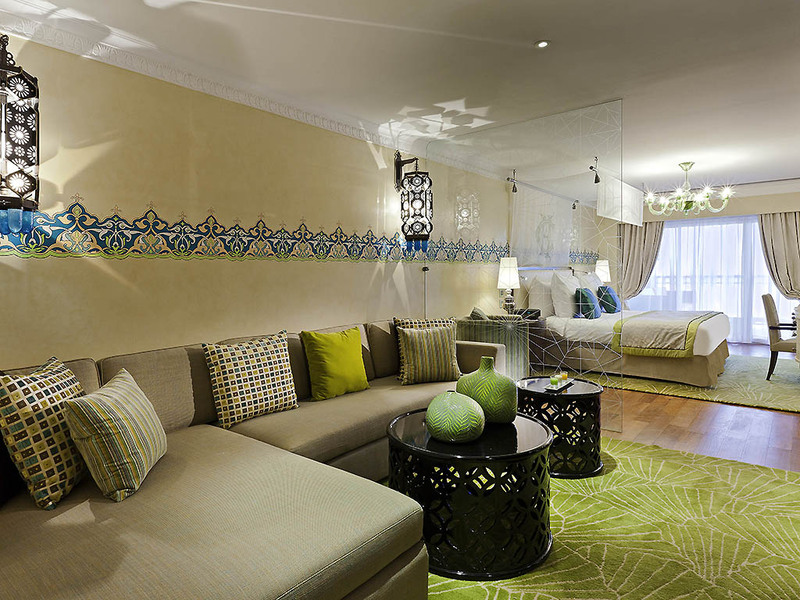 Be pampered with your perfect match in a lavish suite while you enjoy a so romantic turn-down. Nestled amongst the rocks of the Cataract and known for its landmark location, you and your guests will enjoy the breathtaking view of the Nile. Experience pampering right from landing at Aswan with transfers to and from the airport. 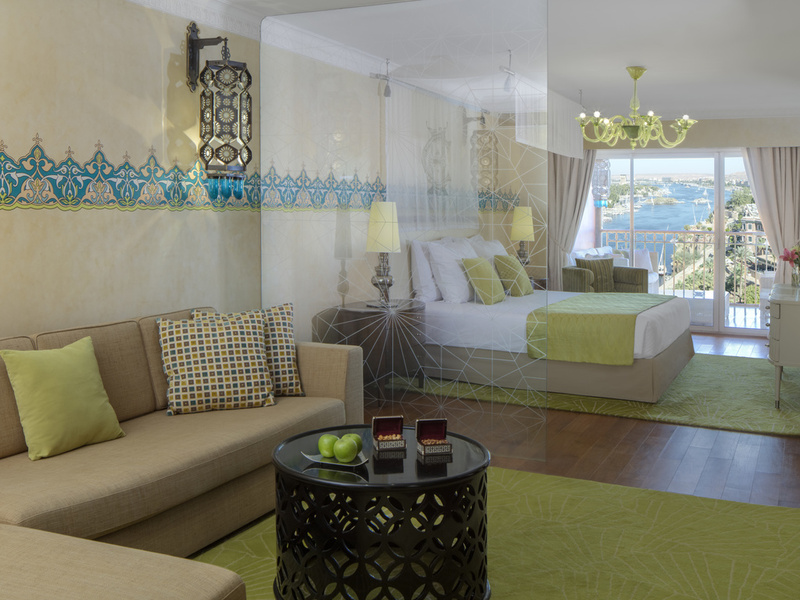 Your dream honeymoon getaway takes you to a suite with a private balcony, where you will absorb inspiring Nile views. Add an indulgent couple's massage following a soak in our intimate indoor pool, then wake up to a breakfast in bed of pain au chocolat. After a busy day in Aswan, So SPA invites you to revitalize in the hammam, jacuzzi and indoor heated pool (adult only) surrounded by glittering mosaic pillars. Enjoy the luxurious amenities of a 5-star Egyptian hotel, including a Kids Club with activities for children babysitting, car hire, dry cleaning, currency exchange and tour booking, including sunset and breakfast felucca cruises. Explore the splendors of Pharaonic history and let us arrange a tour of stone-etched Philae Temple of Isis. Just 5 km (3 mi) from the hotel, it stands on Philae Island in the center of the Nile River between the Old Dam and the High Dam. To tour ancient sites, contact the concierge for chauffeured transportation. Visit the 7th-century monastery of St. Simeon, view prehistoric artifacts at the Nubian Museum and cruise to the Kalabsha Temple. Airport transfers can also be arranged. For a sublime swimming experience, plunge into an outdoor infinity pool that appears to cascade into the sacred waters of the Nile. You will find an equally evocative Egyptian experience at the indoor heated pool, surrounded by shimmering mosaic pillars. Kick off a busy day with an energizing workout at our sunny Aswan fitness center, equipped with cross trainers, treadmills, free weights and Technogym Kinesis. A dedicated personal trainer customizes programs for beginners and pros.